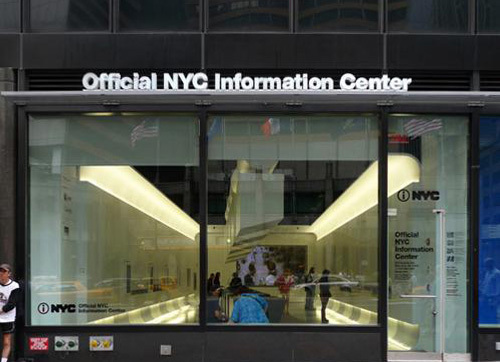 The Official New York City Information Center, officially opened on January 21 2009, is a re-invention of the way visitors and residents plan their New York City itineraries. 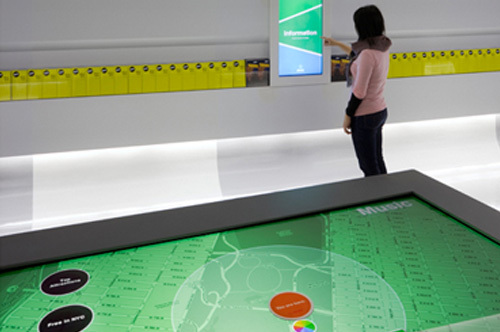 Inside, you’ll find the Interactive Map Tables, where you can grab a “You Are Here” Interactive Disc and go to town. 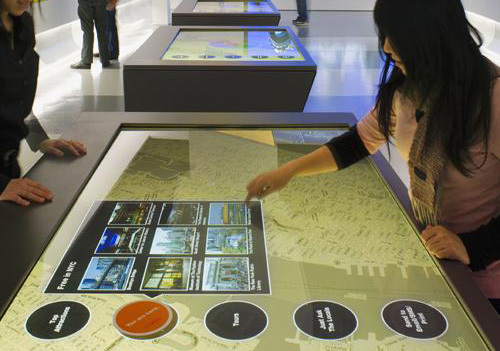 By moving the disc across the touch-screen tables, you can explore a large interactive map of the five boroughs. When categories of interest like “Museums & Galleries” or “Dining” are selected, flags pop up all over the map with relevant matches. Flags can then be touched to open up a box with a description, info and photos for each place. 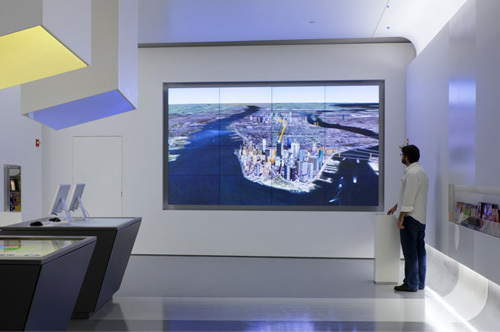 You can save your favorite sites to the disc, and then take it over to the Disc Reader for the Video Wall, where you can use a custom itinerary flyover to virtually soar above a detailed three-dimensional Google Earth map of the City highlighting the spots you’ve picked out. Plus, you can send your itinerary to your cell phone or email address, or print it out by placing the disc on the Disc Reader for the Printer Station. Information Specialists are here to lend their NYC expertise, offering insider info about what to see and do. They can also help you with directions and even booking tickets or reservations once you’ve settled on a game plan. 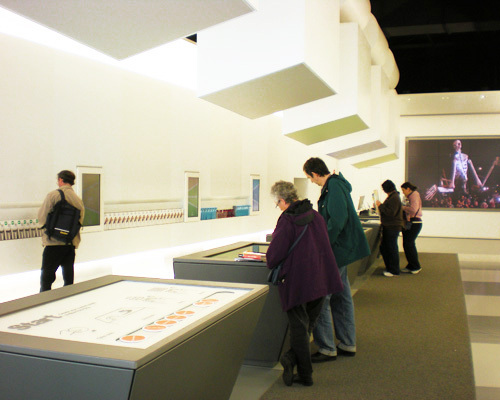 Free Official NYC Visitor Guides, brochures, maps and discount coupons are available along the Brochure Wall.